SAN DIEGO -- When a Honda headhunter telephoned Mike Accavitti a few months ago it was a dream come true for the ex-Chrysler executive and muscle-car enthusiast. Two years ago, Accavitti's long career at Chrysler came to an unceremonious end. In June 2009, then-new CEO Sergio Marchionne had elevated him to CEO of Dodge. But Accavitti lasted only four months in the job before resigning as part of a management shake-up. During more than 20 years at Chrysler, Accavitti had worked his way up from a summer job on the factory floor to the executive suite. He held positions in manufacturing, product development and marketing. Before heading Dodge, he was Chrysler's director of brand marketing. After Chrysler, Accavitti spent just over a year at Cisco Systems' automotive division. Then American Honda came calling, looking for a new chief marketing officer. He jumped at the chance, joining Honda in August. "I liked Cisco, but it was completely different from the auto industry," Accavitti said. "I found [Cisco] very refreshing. They had great people who were bright. But I grew up with gasoline in my veins. No other industry has the grime of factory floor and the glory of the auto show floor." Much of Accavitti's brand marketing work involved marketing Dodge's NASCAR effort. At Honda, he gets to be part of another storied racing brand -- a big factor in joining the Japanese company. Of course, the two companies' pursuits of horsepower differ: Dodge loves cubic inches and Honda squeezes maximum power from the smallest possible package. "It is a privilege to be associated with a brand that has this kind of strength, legacy and reputation," Accavitti said in an interview at the media launch for the CR-V crossover here. "When Honda called, it was a quick decision to get back into the game." Not that everything is humming with Honda's marketing. The massive marketing launch of the Civic was hampered by the March earthquake, leaving Honda with insufficient buzz for the debut of such a key product. Then the new Civic received lukewarm reviews in the press and blogosphere. Accavitti's first day at Honda coincided with Consumer Reports taking the car off its "recommended" list. While there may have been a brief "uh-oh" moment, Accavitti is certain his decision to join Honda was the right one. "I am very sensitive that Honda has been successful in the past," he said. "This is not a situation like earlier in my career. The people here know how to build a market, how to sell cars and how to advertise cars. I'm just looking at this with a fresh perspective. That's my value added, a fresh set of eyes." 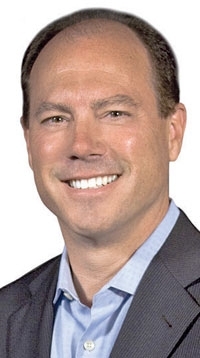 Accavitti is only the fourth chief marketing officer at American Honda since 1991. And it is rare that the company hires an outsider for the top marketing post. Accavitti calls his mission "refocusing," rather than tearing up the marketing framework. One of Accavitti's first steps is to oversee the relaunch of the Civic, which started last week. Whereas the first commercials were quirky, showing a lumberjack, ninja, zombie and other characters driving the new Civic in silly situations, the new campaign more directly shows how the car's features and functions fit into a youthful lifestyle. The campaign runs through late November. Instead of monsters and masked wrestlers, we see "Kate" planning a road trip, and "Tim" and his friends going to a concert, using the Civic's features to get where they need to go. The former Chrysler executive was named American Honda's top marketer in August. Title: Vice president of auto marketing, American Honda Motor Co.
Not that some Honda marketing processes don't need to be changed, Accavitti said. He will oversee a stronger emphasis on digital media and social media. "This doesn't require an overhaul of the engine. It requires a tuneup," he said. "Given the youthfulness of the Honda brand, and the car lines we have available to us and our imagery, we should be leaders in digital and social media. That's where you'll see efforts in immediate future." Often, when an automaker hires a new chief marketing officer, an agency review follows. Accavitti said that is not the case with Honda and its 32-year relationship with Rubin Postaer & Associates, calling a review, "completely unproductive and unnecessary." "RPA is an extension of the Honda family," he said. "They are a very creative bunch." Honda and RPA have made a science of "just show the car" advertising. But Accavitti believes that it will take more than that today to compel someone to walk into a Honda showroom. "We're not going to deviate drastically from the past, but we are going to work on creating ads that are relevant and that draw in the consumers to explore more," he said. "You're not going to do it in 30 seconds. You can only get them to want to know more, and to go on the Internet or into the dealership."